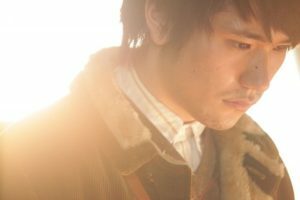 Norwegian Wood is either a movie that has trouble connecting its viewers to the things happening on screen, or its main character Watanabe Toru is a dispassionate lead that drifts through his life. If the latter is the case, the film does an excellent job of making the viewers feel the same way as Watanabe. If not, then it’s a film that doesn’t seem terribly concerned with whether or not viewers care very much about its characters. Usually I try only to feature films on this column that I definitely recommend. I can’t say as much for Norwegian Wood, but it earns its space here because it’s an adaptation of a popular novel by renowned author Haruki Murakami, and thus it might catch more attention on Netflix than it would otherwise. My uncertainty about what the film is trying to achieve is also derived from the novel: I haven’t read it, but my husband has recently, and he often differed in opinion with me about my interpretation of Watanabe. The story is simple enough. Watanabe doesn’t have many friends: only his best friend Kizuki. His time spent with Kizuki often includes Kizuki’s girlfriend Naoko, though the two never really grow close. Toward the end of high school Kizuki kills himself. Life moves on, and Watanabe finds himself at university in Tokyo a few years later. He runs into Naoko there, and this time the two form a bond, one that revolves around their shared past and lost friend even if neither is ever mentioned. The two sleep together, then Naoko has a breakdown and moves to a sanitarium in the countryside. 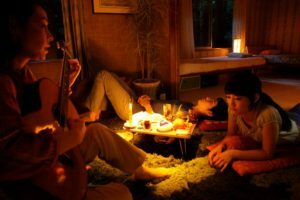 The rest of the film takes place with Watanabe living his life at university and occasionally visiting Naoko, though his thoughts are constantly with his now maybe-girlfriend. I say maybe only because the film never confirms this information, even though Watanabe believes he’s in love with her despite the fact that he enters a flirtation he refuses to allow to become anything more with another classmate, Midori. All of this happens with little to no insight given into Watanabe’s thoughts. We see things happen to him, but he seems almost as much of a viewer of the events of his own life as those watching the film. Scenes flow from one to the other and time passes, often with little to no connection or explanation. Even important-seeming events happening in the background – like the student protests around which Watanabe pushes as he makes his way across campus, something my husband says has a bigger role in the book – are just that: in the background. Because of this, I felt little connection to Watanabe and didn’t much care what happened to him. But that worked for me with one criticism I had of the film, or more so of his character: what Watanabe was doing with these women. Naoko is in no state to try to carry on a romantic relationship. She’s always the one to make the first move, but then it’s immediately followed by a breakdown. Watanabe ought to be giving her space to heal, but instead he keeps hanging around. Midori would be a better choice; she has a boyfriend, but she breaks up with him. She’s drawn to Watanabe because he’s honest. He never says much, but what he says is true. But he’s hung up on Naoko, which isn’t good for anyone, really. This is where my interpretation of the movie differed from my husband. For me, watching Norwegian Wood just entailed watching Watanabe drift from scene to scene taking little to no responsibility for the things happening to him. We weren’t ever given much insight into his thoughts or feelings: for example, I never understood why all of a sudden he was in love with Naoko, unless it was just some longing for an irretrievable past and friend. Not the greatest basis for a relationship, especially when the woman involved clearly has her own issues to sort out. I didn’t understand why Watanabe kept letting himself be pursued, kept visiting Naoko even though that always seemed to end poorly for the both of them. In the novel Naoko and Watanabe keep up a detailed correspondence even when they’re apart. I’m still side-eyeing the fact that Watanabe carries on a romantic relationship (sort of) with Naoko when clearly that’s not what she needs right now, but at least in the novel their relationship is more established. There’s more of an explanation for why they’re together, why Watanabe keeps visiting Naoko; readers are better given to understand the attraction and dependence that’s formed between the two. Norwegian Wood, according to my husband, is a faithful adaptation of the book – when it chooses to draw from the book. But swathes of the original narrative are missing. That would be fine in action-packed stories, or indeed in any story, if enough of the missing edges are filled in. Part of it is my own bias: I like character-driven pieces, and when I felt so little connection to any of the characters, it was hard for me to enjoy the film. Still, Norwegian Wood has its merits. 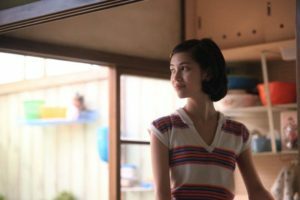 The disconnect is part of an overall dreamy quality; we, like Watanabe, meander through 1960s Japan, through the crowded streets, the kitschy apartments, the breathtaking countryside. If I’m going to feel severed from the action and the characters, then this is the perfect way to do it: floating on the dreamy beams of light through snowy fields and hushed forests. Maybe that’s what the director was trying to achieve: his interpretation of Watanabe was of an uncertain, adrift young man, and so viewers are uncertain and adrift with him. If moody, atmospheric films are your thing, then Norwegian Wood is definitely worth the watch. It’s also, again according to my resident expert (aka, the one who read the book), an interesting watch if you’re curious about the film adaptation. If you need detailed, fleshed-out characters, however, then Norwegian Wood isn’t the place to find them. Norwegian Wood is also available streaming or on Blu-Ray/DVD from Amazon.